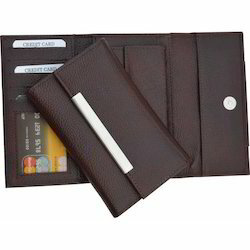 Providing you the best range of leather gents wallet, document folder, black leatherette gents wallet, leatherette ladies wallet in black, credit card holder in camel color and genuine leather credit card holder with effective & timely delivery. 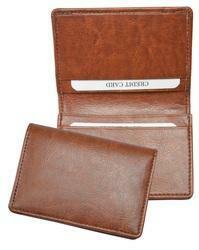 Our company has set benchmark in offering Gents Wallet in Tan to the clients. 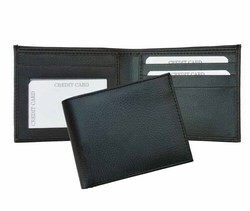 Gents Wallet is manufactured with the help of expert professional by utilizing supreme quality material and latest machines under the surveillance of deft professional. Offered range can avail in number of sizes and design to meet the vast and exact requirement of valuable clients. This product is well checked by quality analysts on certain parameters assuring excellent finish and dazzling look. Offered range is hugely appreciated by client for having light weight and related remarkable characteristics. 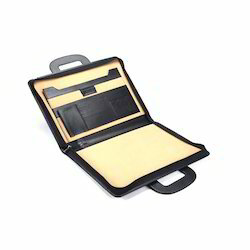 Our company has created niche in the field of offering Black Zipper Leatherette Document Folder to the clients. 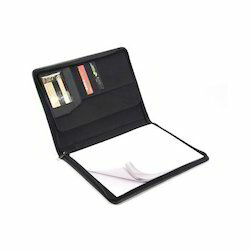 Black Zipper Document Folder is quality assured and comes in varied classy shades. Offered range is avail in varied thickness and is delivered in standard sizes and patterns. This product is designed by craftsmen using high grade material and latest technology that is well tested on global norms. Offered range can be customized in every parameter which adds to the versatility of our products. This product is very rich and gives an elegant look to the user. Offered range is widely used in maintaining the papers, documents and cards. 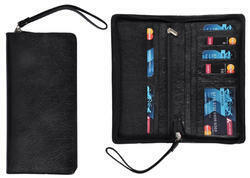 We have emerged as topmost provider of Leatherette Ladies Wallet in Black to the clients. 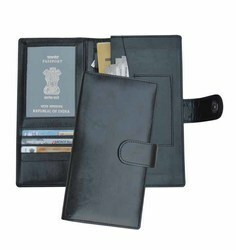 Black Leatherette Ladies Wallet is available in various shapes and sizes to meet the different needs of requirements of the clients. Offered range is widely appreciated amongst customers for excellent finish and long lasting nature. This product has glossy finish and each sample is fully tested to make sure that are free from the scratches. Offered range is manufactured expert professionals by utilizing optimum quality raw material and sophisticated technology in accordance with the standards. 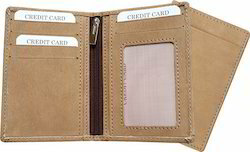 Our company has achieved milestone in offering Credit Card Holder in Camel Color to the clients. 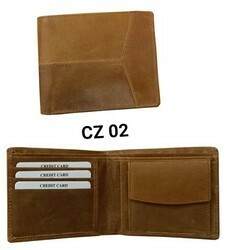 Our company has mastered the art for providing Genuine Leather Credit Card Holder to the clients. This product is manufactured under the stern guidance of professionals using utmost quality material and latest technology in conformity with industrial quality standards. 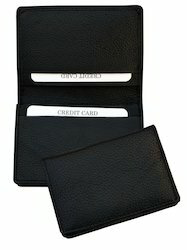 Leather Credit Card Holder can be availed from us in variety of patterns, colors, styles, sizes and shapes as the need of the clients. Offered range is manufactured for the fashion and quality conscious generation of today. 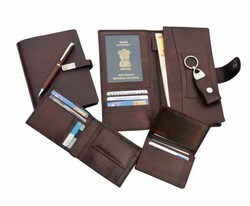 Our company is widely appreciated in offering Passport Holder with Zipper to the clients. Color: black, brown, tan etc. Our company is highly rated in offering Tie Case in PU to the clients. 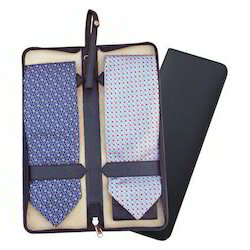 Tie Case is extensively used for the purpose of keeping and storing the neck ties. This product is available in the market in bulk. Offered range is manufactured by making use of high quality components and latest technology under the supervision for professionals. Offered range is widely appreciated by the esteemed clients for characteristics like approved quality, excellent look and various designs. This product is offered to the esteemed customers on various sizes and specifications to ensure prompt delivery. 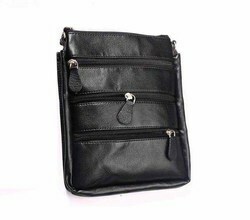 Black Folder with Zipper are very elegant and stylish which can be used for corporate , casual , gift purposes. A Good quality stitched folder for keeping important documents and can be used everyday for presentation reference & storage of certificates & designs, photos, contracts Etc. 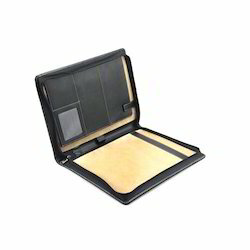 Its Non-Stick Embossed poly propylene pockets.This folder has hard bound cover and has zipper closure for extra safety of all important Documents. 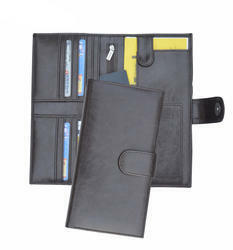 Black Leatherette Folder with Handle, A Good quality stitched folder for keeping important documents. It contains 20 leafs which can contain 40 documents in total. This folder has hard bound cover and has zipper closure. 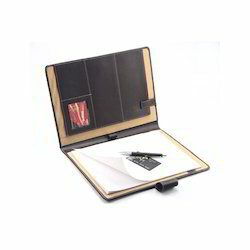 Black Folder with Luppie offered comprise elegantly designed Leatherette personal folder. 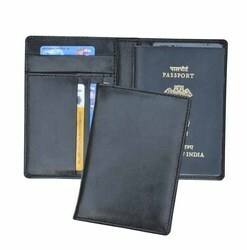 Leatherette Passport Holder with String are considered to be one of the most sought after and stylish items in the fashion world. Now a days people prefer to use these bags as they are very stylish and classy as well. 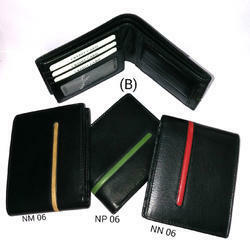 We are leading manufacturer and supplier of Leather & Leatherette Card Holder. Customized Colourful Synthetic Leather Wallet in different color and size. 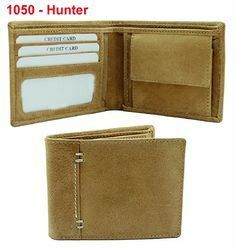 Hunter Leather Wallet. 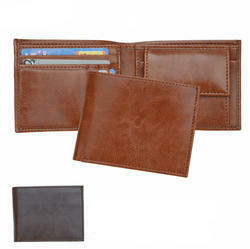 Its has different sizes and colors made up of Pure Leather with branded. 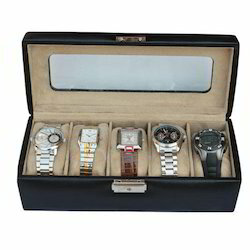 We are providing our valuable clients an exclusive range of quality assured Leather Watch Case. Provided Leather Watch Case is available as per the specific demands of our precious clients. Offered products are precisely developed using optimum grade material and latest technology. Owing to its fine finish and flawless finishing, the offered products are widely demanded among our clients. Moreover our products range is available at industry leading prices.